The Taoiseach has said he is "surprised and disappointed" after the British government failed to reach agreement in talks relating to the border on the island of Ireland. 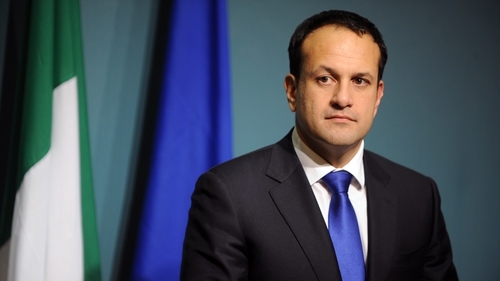 Leo Varadkar said that the Government received confirmation from European Union negotiators that agreement had been reached with the British government. However, he said it is evident that things broke down during lunch in Brussels between British Prime Minister Theresa May and European Commission President Jean-Claude Juncker. Speaking at a press conference, Mr Varadkar said he hopes an agreement can be concluded in coming days. He said Ireland cannot progress to Phase Two of Brexit negotiations unless there are guarantees that a border will not re-emerge "under any circumstances." Mr Varadkar added that he believes the agreement which Ireland adhered to this morning still stands, and that the Government has not received any request to change the text which was agreed. He said there was no hidden agenda at play and the Government's only guiding light was the Good Friday Agreement. The Taoiseach also said that while it is important we listen to the DUP, it is also important to bear in mind the position of other parties in Northern Ireland. Mr Varadkar said the DUP do not represent the majority of people in Northern Ireland and it should not be forgotten that a majority in Northern Ireland voted to remain during the Brexit referendum. DUP leader Arlene Foster said this afternoon that Northern Ireland must leave the EU on the same terms as the rest of the UK, and added that the DUP will not accept any regulatory divergence. Sinn Féin has said it is important that the Government stands firm in Brexit negotiations. Mary Lou McDonald has said that anything short of Northern Ireland remaining in the single market and customs union creates a problem, and regulatory alignment would not be sufficient. She said that Sinn Féin understands the Government is working on a communique, but her party has not had sight of that. Tánaiste Simon Coveney earlier said that Mr Varadkar would make a a "positive statement to the country to provide reassurance on Brexit". Mr Coveney also indicated on RTÉ's News at One that an agreement on the wording around the issue of a border on the island of Ireland is very close. He said that progress was made this morning and the discussions are moving in the right direction. The Tánaiste said he believes the border between Ireland and the UK will not change from how it appears today. "I suspect it will look very like what it looks like today which is to remain largely an invisible border, with no barriers to movement and trade and the normality on the island of Ireland, as we've grown to appreciate over the last 20 years," he said. The Cabinet met this morning, where ministers were given an update on the negotiations between Ireland, Britain and the EU over the weekend. Party leaders from across the Dáil also met with the Taoiseach in Government Buildings at 1.30pm to discuss Brexit. Fianna Fáil leader Micheál Martin is in Cork so he was represented by the party's Brexit spokesperson, Stephen Donnelly. It is understood that the Taoiseach and Mr Martin spoke by phone this morning. Meanwhile, Mayor of London Sadiq Khan has said that if Northern Ireland gets a special deal allowing it to stay within the single market and customs union then so should London. Mr Khan tweeted that "Londoners overwhelmingly voted to remain in the EU and a similar deal here could protect tens of thousands of jobs."